Communications are only as secure as the servers on which that data resides. That’s why our customers are supported by best-in-class data center infrastructure, controls, monitoring, and support. 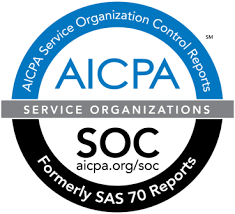 We deliver everything you’d expect from a world-class technical services organization beginning with our fully redundant (N+1) SSAE16 Type 2, SOC1, SOC2 data centers complete with distributed architecture that is engineered to deliver 99.999 percent availability. Combine this with our state-of-the-art network operations center, a robust electrical power system complete with hospital-grade backup, plus multiple and redundant internet bandwidth carriers so no single point of failure is possible. Environmental cooling and controls, advanced fire detection and suppression, traffic load balancing, high-performance firewalls, and enterprise-level security are just a few of the assurances TCE clients enjoy. And behind all of this are highly skilled network engineers and professional system administrators trained and experienced in Allworx, Linux and Windows servers, established emergency response techniques, and highly secure network infrastructure management. Sure there’s a lot that goes on behind the scenes, but all you notice is 24.7.365 system availability and business continuity.